40+ full color interactive pages for transformative New Year’s inspired work! With all new sections this year. And available in hardcopy and digital! That’s why I created my powerful New Year’s Intention Setting workbook, Come Back to Center, for you. It’s part reflection journal, part Inspiration Word treasure hunt. It’s an opportunity to dig deep into the life you’ve been living, the life you want to be living and all the pieces that take that from dream to reality. 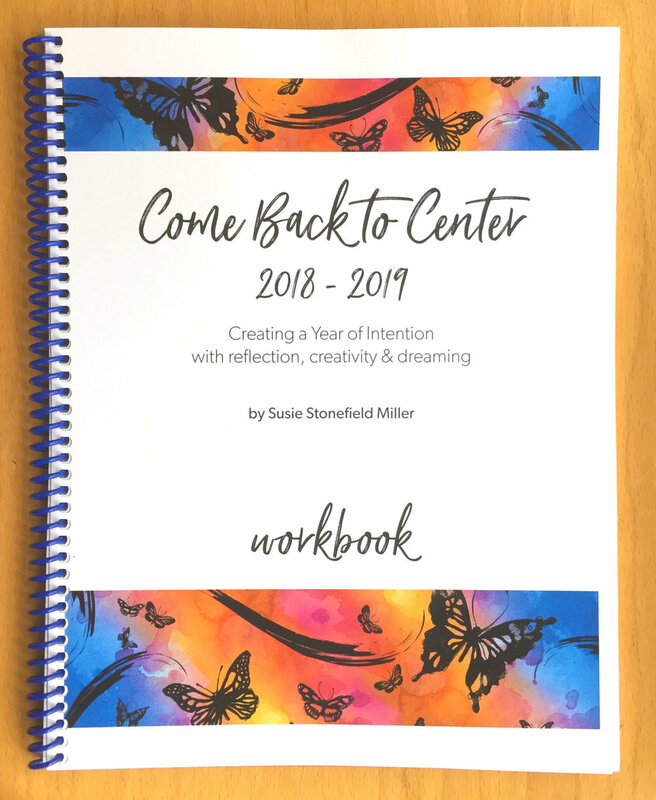 Using Susie’s workbook for my New Year’s practice is something I love to return to year after year. It gives me the space to get focused on what I want to bring into my life. No more New Year’s resolutions for me. I love the visioning that she inspires in this process! This is from last year’s workbook…this year’s is even more beautiful and has several new sections! Refund policy: If your hardcopy workbook is damaged in shipping we will replace at no charge to you. If for any reason you are not happy with it, return to us and we will refund your money minus shipping charges. There are no refunds on purchases of the PDF download.